We got this question in from one of our readers earlier this week and wanted to share the answer with all of our shooters in the group. From K.J. 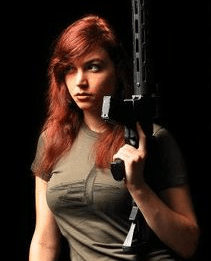 “I am looking to upgrade my DPMS – What are the top 5 rails for the DPMS AR-15? Good question KJ – check out these videos and our quick list of good quad rails that provide value for the money. First off lets remind our readers that DPMS stands for (Defense Procurement Manufacturing Services) Panther Arms. These guys build all sorts of rifles out of Huntsville, Alabama. 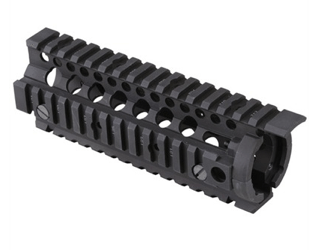 Moreover, these rails are not just for a DPMS rifle, they can be used for pretty much any AR Pattern Rifle. Second – we should say that a rail is one of the best tricks to upgrade your weapon and add on an extra flashlight or other gear. Seekins Precision makes some fantastic products. Their rails come in both Mlok and Key Mod configurations, depending on your preference. This particular one is a NOXs handguard, designed to be a battle ready alternative to more bulky variants. At only 1.5 inches wide, you can get a good purchase on the firearm even at speed. Additionally, there are QD swivels built into the rail, milled directly into the handguard, as well as cooling slots to ensure maximum airflow. I’ve used these on a couple rifles and they install easily. You may need some tools, like an AR 15 armorers wrench, but everything goes together smoothly. Question: What is a good front and rear sight set up for my black rifle? Check out the Magpul Industries MBUS Generation II Sight Set Front & Rear Color BLACK . These are a great value for under $99 and hard to find a better deal. We added these to our Bushmaster as a back up in case the red dot gets damaged or battery goes dead during training. Click here for essential rifle parts from Brownells.com, the World’s Largest Supplier of Firearm Accessories! Question: I want to shoot more accurately at long range distance. 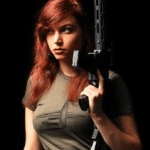 What is a good bipod for an AR-15? We like the Magpul Bi-pod. Like any Magpul product, you can’t go wrong. If you have an M4 style rifle (fixed front sight post) you can ditch the plastic handguards and upgrade to a quad rail with Knight’s Armament. We like this one for a variety of reasons. First and foremost, it looks great and gives you some extra real estate forward of the sight post. What’s more, it levels off with the upper receiver top rail, and allows you to mount a scope or optic pretty much anywhere. Being free floated means better accuracy, and without getting too geeky, barrel harmonics are not affected. Also, not sure how many people have one, but this is capable of mating with an M203 or similar 40mm grenade launcher….yes, you read that right. You can add some spacers to take the edges off the rail and also mimic the familiar purchase of a milspec M4 style handguard. I have been shooting more and more in the last year and wanted to upgrade my rig with some new parts. I hunted around online and read a ton in the forums. He was telling me that i could not go wrong. I ordered it and they delivered in a few days. I found that it was easy to install and adjust and it is lightweight and sturdy. I don’t have to worry so much banging it around at the range. 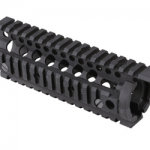 The MOE handguard provides for a lightweight, slim, and strong hand guard. 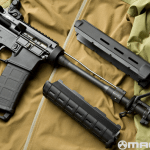 The Magpul rails allow accessories to be mounted to the 2, 6, and 10 o’clock positions. I have a Magpul front and rear sight for the same rifle and also have a few P mags for shooting. What’s great about these rigs is the versaility and weight reduction when you go with a polymer option. Also, it doesn’t transfer as much hear as metal. Easy to set up and your on the range ready to go. 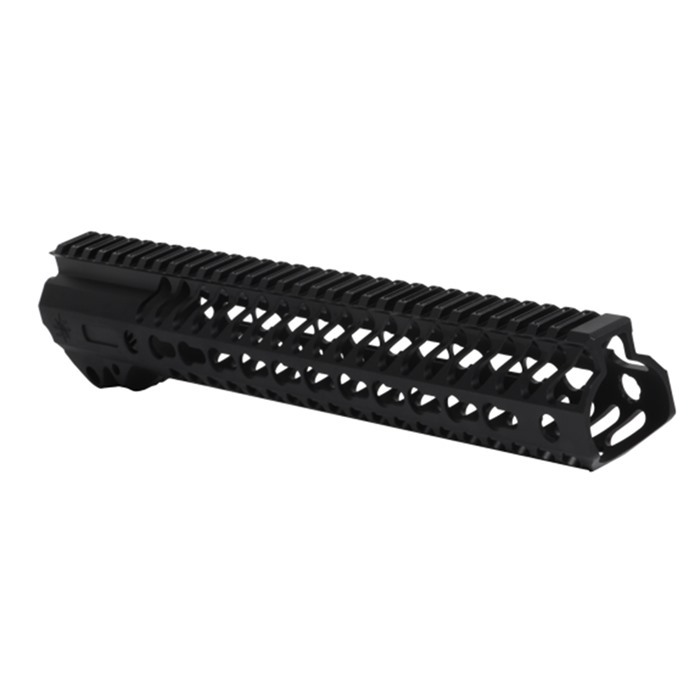 The Daniel Defense Rail Interface System II is SOCOM-Approved with a machined aluminum multi-rail handguard specifically designed for the Special Operations Command (SOCOM) M4A1 carbine. The RIS II enables installation of an M203 40mm grenade launcher, while allowing the barrel to free float. Question: What size scope can fit on the rail of a Panther 223 rifle? A: You can easily put a small red dot or EOTech. It all depends on what you want to do with the scope? To answer your question, anything that can mount on a picatinny rail can mount on your rifle. You have tons of options, you just need to figure our your loadout. Question: What can I do to help with rifle and gun rights in America?